Conflicting reports have emerged about the fate of the Libyan National Army’s Commander’s fate: while a source in Tripoli said that Marshal Khalifa Haftar had passed away, a member of the Army said he is in good health!! “Gentlemen, the marshal is in good health. You will soon witness it”, the Libyan National Army’s representative Ahmed al-Mismari told Sputnik. Earlier in the day, a source in Tripoli told Sputnik that rumours of Haftar’s passing were correct. The Libya Observer has also reported that Haftar passed, citing diplomatic sources. 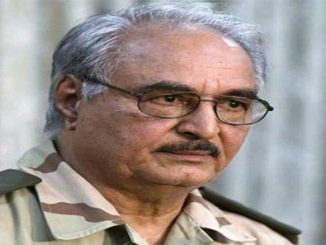 Moreover, The Libyan Express newspaper has confirmed the reports of Haftar’s death. In the same context, the United Nations Support Mission in Libya appeared to quash rumours about military commander Khalifa Haftar’s death, tweeting late on Wednesday that envoy Ghassan Salame spoke to the self-styled field marshal over the phone, according to Middle East Eye. This week, Le Monde reported that Haftar may have been sent for urgent treatment at a Paris hospital. According to the newspaper, the 75-year-old military commander, presumably suffering a stroke, was taken by plane to Paris via Jordan. LNA officials said however that Haftar had gone to Jordan for political negotiations. Earlier Friday, a source said to be close to the matter told Reuters that Haftar had indeed been treated in a Paris hospital. The source declined to comment on the general’s condition. Haftar has presented himself as the answer to militant groups and taken a hardline stance against the Muslim Brotherhood. But critics accuse Haftar of being a proxy for Egypt and the United Arab Emirates, fueling armed conflict and committing human rights violations. His detractors say he is leading a counter-revolution against the NATO-backed uprising that toppled Muammar Gaddafi in 2011. Libya collapsed as a state following NATO’s 2011 operation to topple Libya’s dictator Muammar Gaddafi, splitting into a series of militia-held territories, including territories controlled by the Daesh (ISIS) terrorist group. The largest forces included the Haftar-backed House of Representatives in Tobruk, eastern Libya, and the Government of National Accord, based in Tripoli. A UN-brokered ceasefire between Tobruk and Tripoli broke down in late 2017. Egypt has supported Haftar’s efforts against jihadist movements. 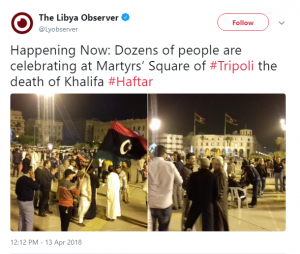 Media Reports: Something Is Happening in Libya? In the recent days, media reports have concluded that the latest visit of Abu Dhabi’s Crown Prince Mohammed bin Zayed Al Nahyan to Egypt to meet Abdel Fattah al-Sisi was mainly related to discussing Khalifa Haftar’s health and his successor in case of his death. 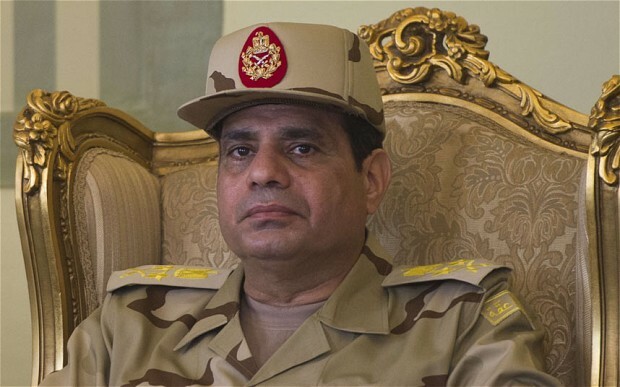 Reports revealed that the Egyptian Emarti discussions have focused on who would success Haftar. Choices narrowed to include either Major General Abdel Razek Al- Nazoury or Oun El-Furjani. Reports said that UAE supports General Abdel Razek Al- Nazoury to Haftar’s successor while Egypt prefers Aoun El-Furjani, Haftar’s relative and his cousin. 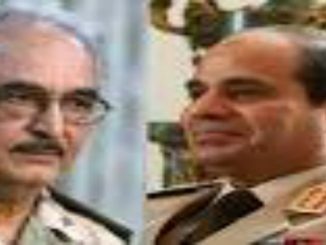 Moreover, there was news that Egypt has invited military officials and prominent figures from El-Furjan clan, Haftar’s tribe. Both Egypt and UAE have supported Haftar in his struggle for power in Libya. Last February, UAE has sent F-18 warplanes to enhance its military presence at the Mohamed Naguib Military Base, north-west of Egypt, a military source said. 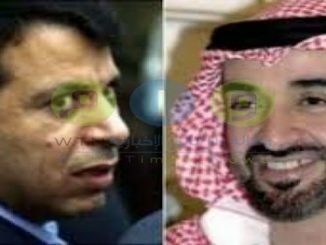 The source, who spoke on condition of anonymity, told the New Al-Khaleej that the reinforcements were sent in an agreement between Egyptian Abdel Fattah Al-Sisi and Abu Dhabi Crown Prince Mohammed Bin Zayed following their talks in the UAE capital. The source said the UAE reinforcements aim to support the forces of the head of the Libyan National Army, General Khalifa Haftar, whose are fighting terrorist groups on the ground. In the same context, Aqilah Saleh, the speaker of the Tobruk-based House of Representatives (HoR), told the Cairo-based Youm7 newspaper that Khalifa Haftar-led self-styled army is going to launch an attack on Derna in coordination with Egyptian military forces. “A military operation in Derna is very significant for Egypt in order to block the route for terrorists disallowing them from escaping from Derna to Egyptian soil,” Saleh explained. 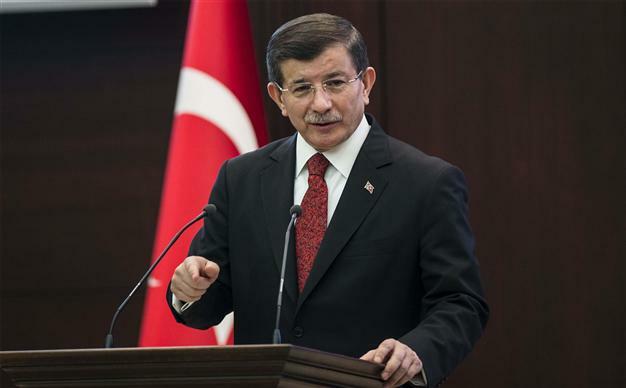 He also mentioned that Egyptian companies will be helping in rebuilding war-torn areas in Libya, hailing Egypt’s role in Libya. In July 2017, Bin Zayed, Haftar, and Al-Sisi attended the opening ceremony of the military base. The Egyptian Army has also provided training and logistical support for Haftar’s forces in eastern Libya and has previously carried out airstrikes against his opponents in Derna and Benghazi. 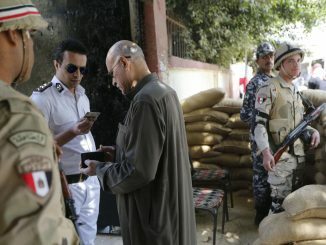 Prior to Derna’s attack, an official, who spoke on condition of anonymity, said that Haftar arrived in Cairo late and held a series of meetings with senior Egyptian officials to discuss the political and military developments in Libya, pointing out that the talks touched on the issue of coordination in the fight against terrorist groups. In fact, the attention has shifted to the coastal city after Haftar announced victory in a three-year military campaign against a similar coalition in Benghazi, 350 kilometres to the west, in July last year. In May 2017, the city was also a target of Egyptian air strikes. 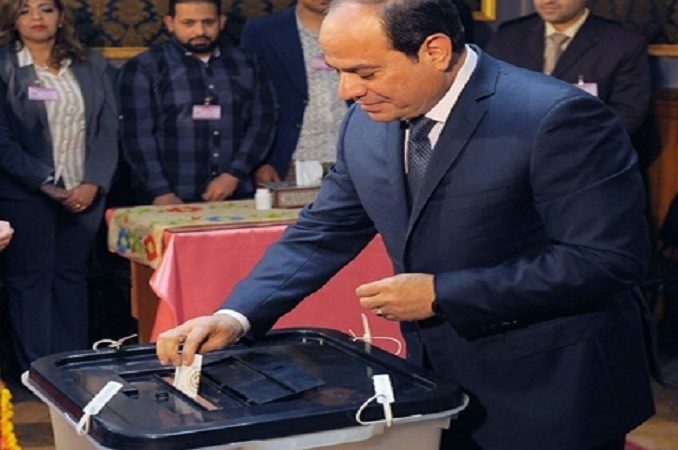 At that time, Al-Sisi claimed that it was responding to an attack against Coptic Christians on its territory, though that attack was claimed by Daesh. 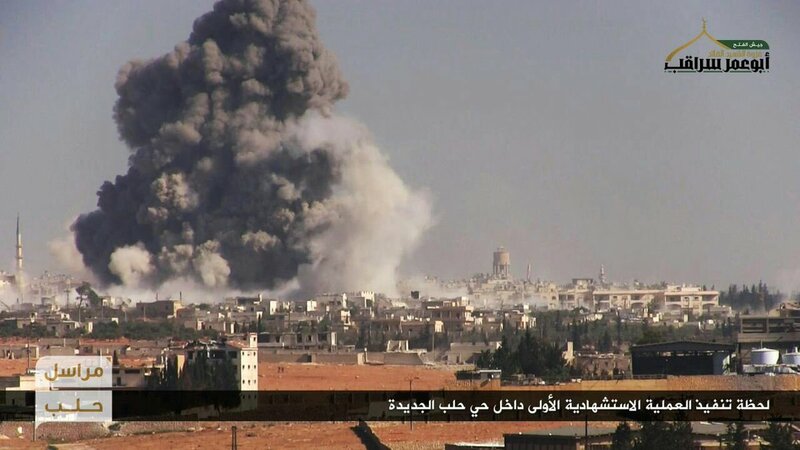 Egypt claimed bombed the locations of Derna Shura Council and bombed also Houn as well. Accordingly, media outlets reported that Houn was the epicentre for the inexplicable air-attacks, as it received air raids on locations like Al-Mujahid Brigade and Tagreft Brigade, which are part of Al-Bunyan Al-Marsoos operation that rooted out ISIS from Sirte. 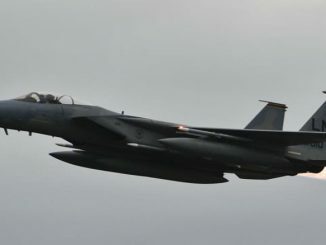 Analysts said that it is beyond certain that the Egyptian airstrikes were meant to pave the way for Khalifa Haftar’s forces to gain more ground in Libya after they had failed to do it themselves in Derna or in Jufra. Many believe that Libya’s strong commander was mainly seeking power in Libya and that” fighting terrorism” is only a card that he uses to justify his war against Derna and other cities. If Haftar is incapacitated, or dead as some unconfirmed reports suggest, it could mean a great loss for Egypt and UAE who wanted to guarantee that eastern Libya will not fall in the hands of the Islamists. The Libyan National Army, which Haftar leads, is, in fact, a ragtag army composed of a mix of disparate troops whom Haftar has been able to keep together. Haftar’s forces have been accused of torture and executing prisoners. If the power structure in eastern Libya collapses it could unleash a deadly cycle of violence similar to the kind that gripped the region between 2012 and 2014. 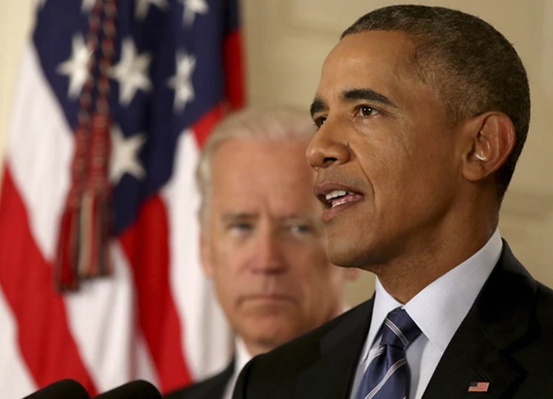 In the same context, political deadlock would return on the ground once again between eastern and western Libya. Last year, French President Emmanuel Macron brokered a meeting between Haftar and Fayez-al-Serraj, the prime minister in Libya’s United Nations-backed Government of National Accord (GNA). At a meeting in Paris, Serraj and Haftar agreed to hold elections, but nothing came of that agreement. 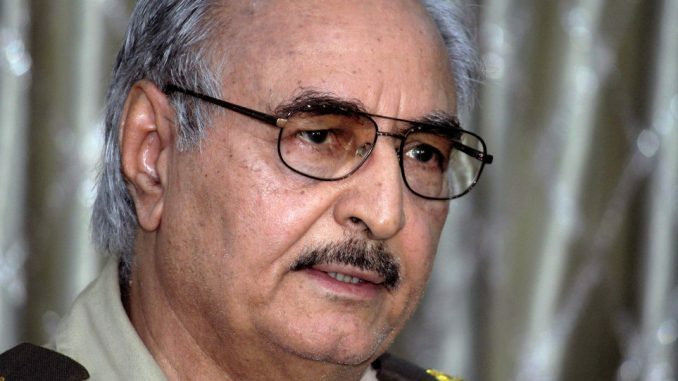 Haftar has refused to accept the legitimacy of Serra’s internationally recognized government. His forces control large swathes of territory in the eastern part of Libya and have steadily gained ground.Last summer, backed by the United Arab Emirates and Egypt, Haftar’s forces claimed over armed rivals in the battle for Benghazi. Moreover, another consequence of Haftar’s absence will be its impact on Egypt’s sponsored dialogue between Haftar and al-Serraj. Throughout last year, Al-Sisi’s military and political officials have been working with different Libyan factions to strengthen Haftar’s role in Libya especially by focusing on amending the Political Agreement (PA) article that outlined the authorities of the Libyan army chief commander and that also excluded Haftar from leading the army. 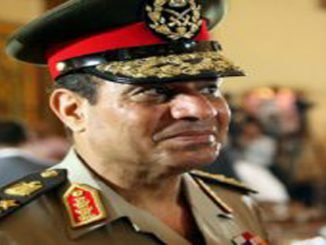 Egypt insisted on amending the 8th article of the 2015 agreement that outlines the authorities of the Libyan army chief commander.The article constituted a major obstacle during signing Skhirat agreement as it included the exclusion of General Khalifa Haftar from leading the army. In December of 2017, Haftar said he would no longer recognize the Libyan Political Agreement, which was signed in Skhirat, Morocco, in 2015. “The military institution will not submit to any party unless it has gained its legitimacy from the Libyan people,” Haftar said in a televised speech at the time. Haftar rejected the Government of National Accord and Presidency Council headed by Serraj and said his own Libyan National Army (LNA) was now the “sole legitimate institution” in Libya. Egypt tried to open a dialogue between Haftar and al-Serraj to unite the Libyan army under Haftar’s command. But now the future of the dialogue between the two factions is vague. 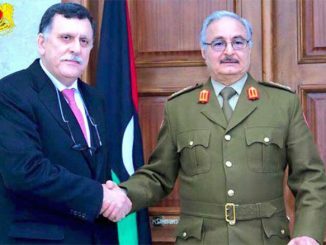 How should Serraj’s government prepare in the event of Haftar’s absence? Mezran said the Serraj government should recognize Haftar’s successor, but only if he recognizes the legitimacy of the GNA. As to who will succeed Haftar is unclear. Major-General Abdel Razek Al- Nazoury, the governor of Cyrenaica province, is Haftar’s second in command in the LNA.”But he is not Haftar. 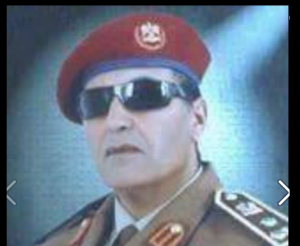 Not every component of the Libyan National Army likes him,” said Mezran.